Last summer, one of Emily's good friends spent some time sewing at our house. She came on random afternoons whenever she was available, and stayed half a day at a time to work on projects. Emily and her friend, who are both 14, have both been sewing for many years, mostly by hand but occasionally and with some guidance, with the machine. Her friend asked me if she could learn to sew together, and listed out some types of projects she was particularly interested in, and we got to work. Our first project was a lined zippered pencil case, which I unfortunately have no photos of. This was the method we used, and we drafted our pattern from random measurements we thought would look good as a receptacle for writing instruments. We cut and sewed our pencil cases in one afternoon, and it was an enjoyable instant-gratification piece. Our second project was a tote bag. We talked about the easier unlined kinds which would have taken us half the time to construct, but decided that for the purposes Emily and her friend intended for their new bags (carrying library books and items for sleepovers), a lined bag might be more durable. On the first day we got together, we went shopping for fabric. It was just as well that we decided to line the bags because it was hard to choose just one fabric from the mind-boggling variety in the store. Each girl picked a home-dec weight fabric for the outer layer and a quilting-weight cotton for the lining, and planned to use one of the many solid duckcloths from my stash for the straps and base. Then we returned to the house and drafted our pattern, again based on dimensions we thought would produce a bag of useful finished size. The girls also cut out all the fabric and interfacing pieces, and ironed them. We pieced and sewed the remnants into a patch pocket. There was no time to do anything else beyond that, so we called it a day. Several weeks later we were able to get together again, and the girls sewed their bags. The sewing techniques were simple (straight lines, side seams, a simple corner dart) but because of the layers and band detail around the base (which involved edge-stitching), it took us the entire day. The outcome, though, was fantastic. The bags are a good size - maybe 16" across, if I remember right. The straps are made with the same coordinating fabric as the base panel. This is the inside of Emily's bag, with the little patch pocket on the inside, made from remnant scraps. This is the inside of the bag Emily's friend made. 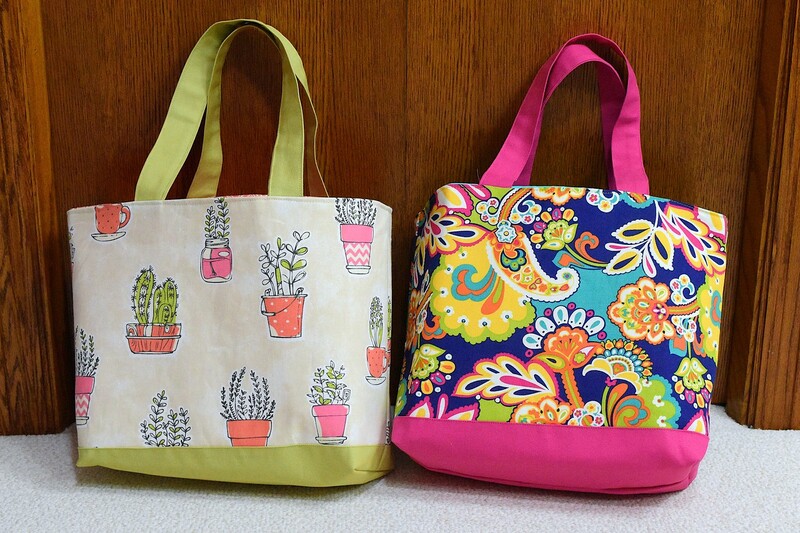 Emily and her friend have both used their totes many, many times since making them. I'm certain that a large part of the motivation is having sewn the bags themselves. That said, I'm also certain that custom-making a bag with dimensions to accommodate specific needs is also a huge factor in final usability. After all, some of my favorite bags are the ones which are "a good size" for whatever I need them for. And I often hear similar feedback in many reviews of bags and sewing patterns for bags. For instance, hardly anyone says, "the fabric I chose is so amazing and matches everything I wear!" Rather, they tend to say, "the bag is a good size, so I use it all the time." One, this is not an independent sewing project for beginners, however. They will need guidance, especially in selecting fabric to produce something like they're used to seeing in stores. The firmer structures of commercial bags compared to home-made ones tend to be the result of interfacing combined with more robust fabrics, which in turn, require different techniques for making, say, the straps (you wouldn't be able to turn out a double-seamed reinforced canvas strap as easily as a cotton one, for instance). 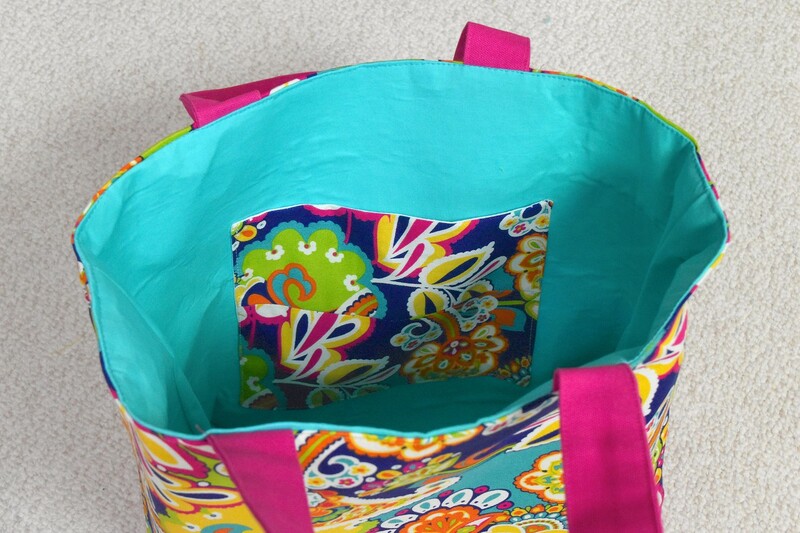 Two, depending on the details added (or omitted) the level of difficulty of a tote bag can be varied to fit the skill and attention level of the seamstress. Including a lining is a simple addition - although it requires additional time to make this second layer, it is essentially an identical structure to the main (outer) bag and involves the same techniques to construct. It does, however, change the method of installing straps. See this post for more explanation. Adding a pocket can increase the challenge level - depending on the kind of pocket. A patch pocket is the simplest variety, while zippered pockets can range from medium- to higher-fiddliness, especially if you include a welt opening in its design. For inspiration and instruction on different kinds of pockets, you might find my pocket tutorial series helpful, in particular the classic (unlined) patch pocket and zippered welt pocket. 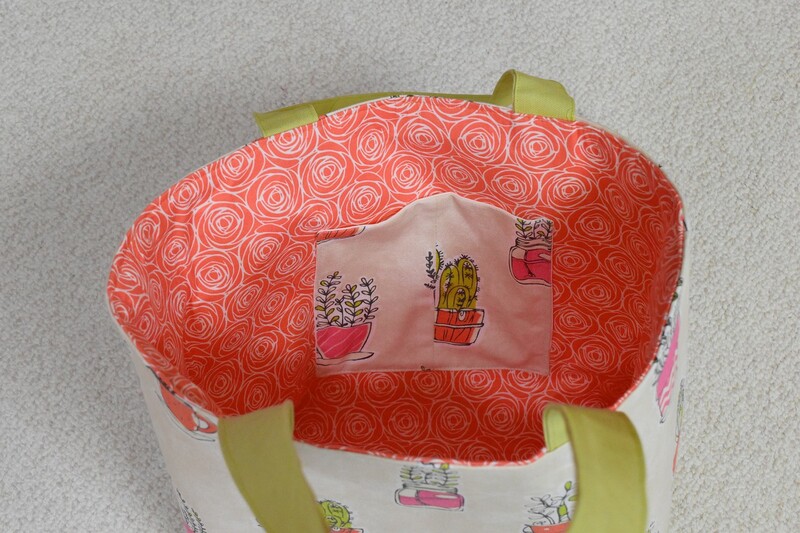 Three, sewing a tote bag will probably require more time than you'd initially imagined you needed. At its simplest, a tote bag is a double-layered rectangle with three closed sides and straps attached, which could be completed in a couple of hours. However, a lining, pockets, color-blocking, a reinforced base, interfacing and the separate construction of the straps (as opposed to using ready-made webbing) will all add time to the process, as will drafting the pattern from scratch and/or including fabric shopping in the sewing experience. So plan for at least two sessions, maybe three if your young seamstress is also new at using a machine and would benefit from some familiarization with it. What lovely tote bags, thank you for sharing them with us. Pretty! Lily is my sewing girl, and I could see doing this with her and a close friend in a few years (she is my 9yo).